With school approaching, if you aren’t already back, it’s great to get involved in making something for your kids and even involving them in making something with you for that purpose. 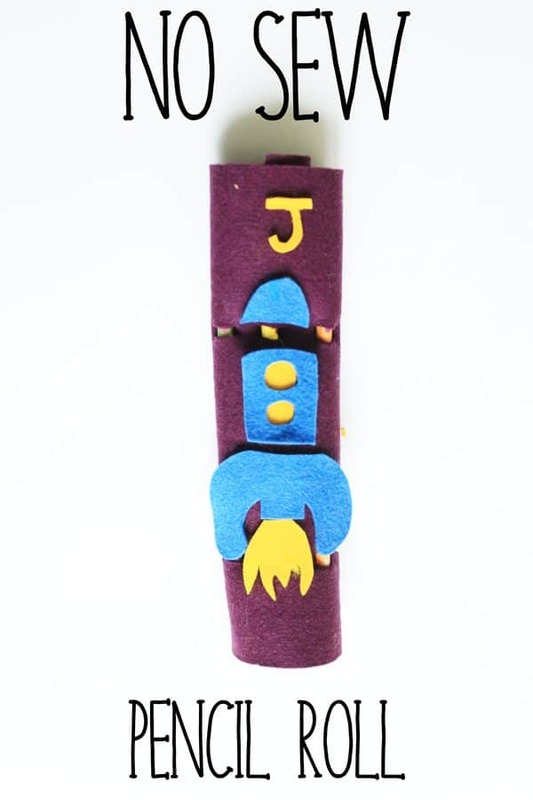 Here’s how to create a no sew pencil roll – that you and your child will fun decorating once you’ve done the cutting out. Craft glue suitable for fabric. With a younger child, you’ll do the cutting out and they’ll decorate. 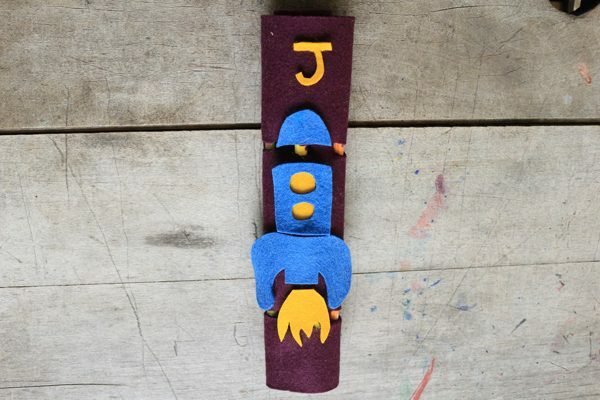 Laying out a piece of felt, put out the pencils that you are creating the roll to contain on the felt. Next, put dots either side of each of the pencils at the bottom about 1cm from the end. 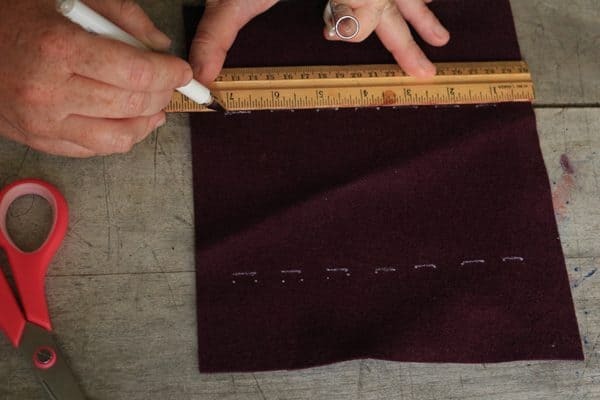 Leave a “lid” at the top that would fold over, and mark pencil dots on the felt under the lid part as well. 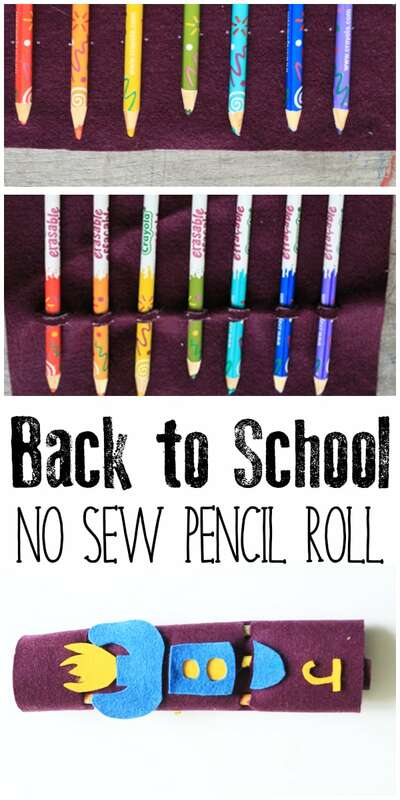 Together, you’ll then check that the pencils fit in their no sew pencil case and that they are able to roll them up easily. 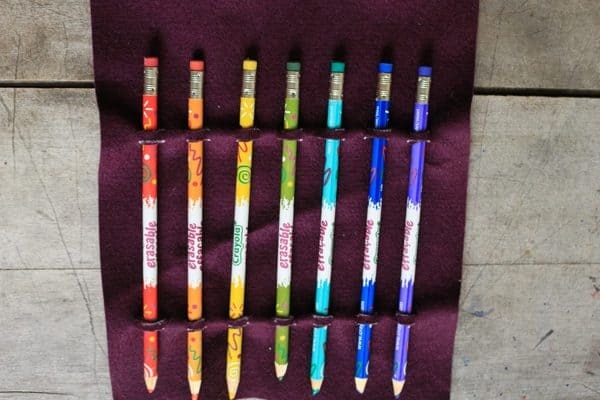 Have you seen the pencils that we are using at the moment in the pencil roll? 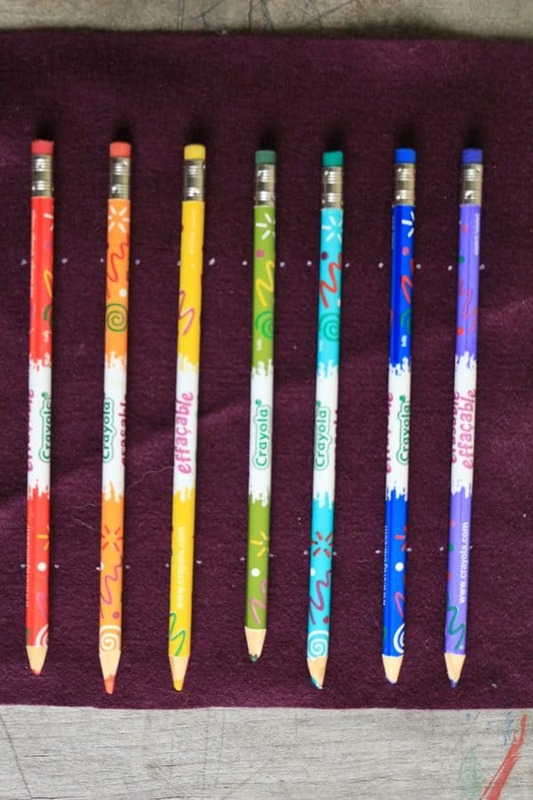 They are fantastic erasable coloured pencils from Crayola. They come in packs of 12, 24 or 36 and work fantastically as long as your child doesn’t press too hard. They can be brought from the crayola website in the USA – you can use our affilate link for the 12 set – click here, 24 set – click here or 36 set click here. They are available in the UK as well from our affiliate link on Amazon – for the set of 10 click here or the set of 24 click here. 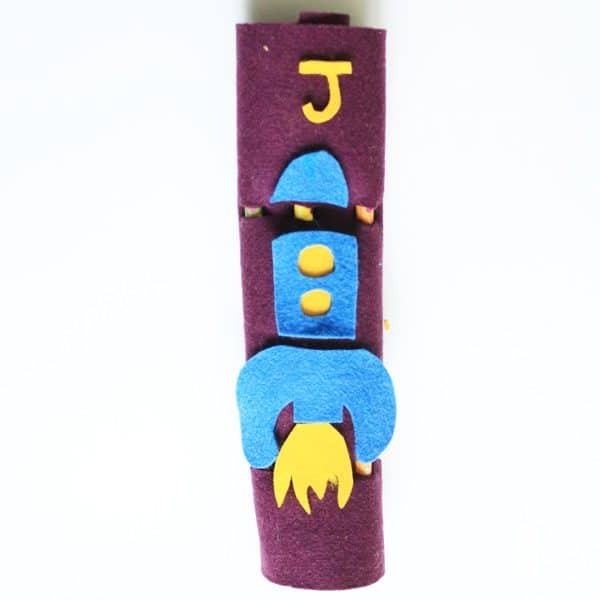 J decided that he wanted to decorate the roll using more felt – so I got busy cutting out letters and shapes (I used google images and searched for silhouettes we liked). Once they had been cut out, I wrote out a word for him and then he glued the letters on top of the holes and added the other decorations as he pleased. 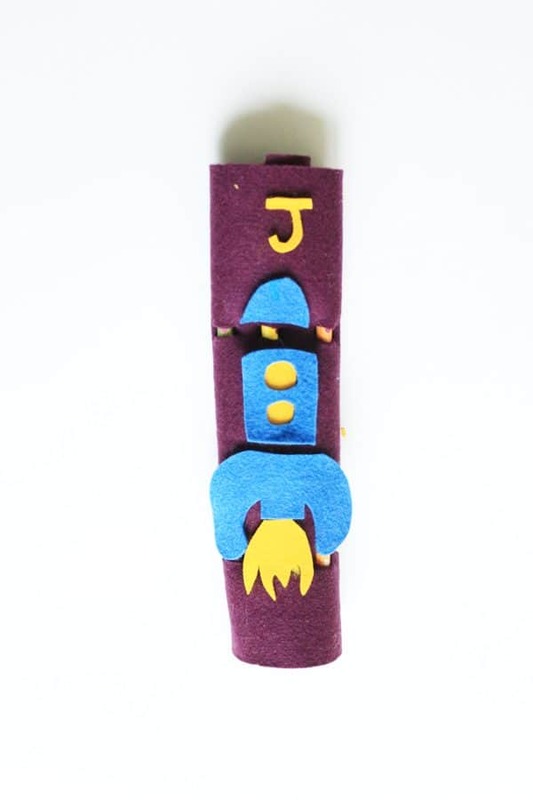 The pencil roll looked good and J liked taking the felts out of it. You’ve now just got to get him to put them back. 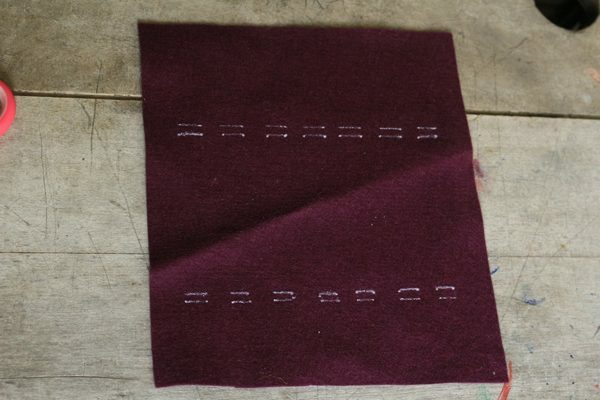 Have you thought of using velcro as a fastener, or a button and button hole. Brilliantly simple – LOVE this!!! Awesome! Love how simple this was. May have to try it. LOVE IT!!! I think it turned out brilliantly. Well done you!